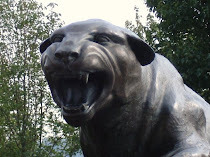 CARDIAC HILL - A Pitt Panthers Blog: So We Were Tired...What's Your Excuse? Pitt, fresh off of a double overtime game only two nights ago, struggled to beat New Hampshire 47-32 tonight. It wasn't too much of a struggle, I guess since Pitt never really looked in doubt of losing the game. But when you only score 47 points, it's a struggle. "But I don't think we were tired. I thought we had a lot of energy at the start," Dixon said. "And I don't know of many teams have played eight games already." The tired Panthers (7-1), playing two nights after a two-overtime victory over city rival Duquesne, led only 15-7 at halftime. I was able to watch the game on CBS Sportsline All Access and it wasn't pretty. If you have the paid subscription, but didn't get to watch the game live. Stay away. Far away. - The halftime score was 15-7. Seriously. - Pitt had two, yes TWO players (Ashton Gibbs and Brad Wanamaker) who made field goals in the entire game until Dante Taylor scored a layup late. That's not in one half, that's the entire game boys and girls. - Both of those players had career highs (Gibbs with 23 / Wanamaker with 19). - New Hampshire shot an abysmal 23.5% from the field. Pitt was just as bad in the first half, but rebounded to get up to 40%. 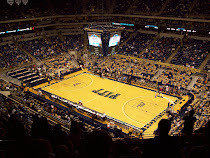 - After holding Duquesne's guards to a terrible shooting night, Pitt held New Hamshire's guards to 3-27 shooting. Is that even legal? - Despite the terrible shooting, Pitt actually hit their free throws making 10 of 13. - The 22 first-half combined points were the fewest ever in the shot clock era. New Hampshire was 3 for 25 with as many air-balls (three) as field goals. You can't make this stuff up. No one would believe it. Also, I have to comment on Dante Taylor. His offensive game is going to take a while to develop. He doesn't have anything even slightly resembling a go-to move, isn't strong enough to overpower people in the paint, and looks to have extremely limited range. That said, he rebounds pretty well. He averages about 6 in only about 16 minutes of action each night. True, the competition hasn't been the greatest so far, but playing even a few more minutes, I could see him getting up to 10 a game next year. Pitt is now at 7-1 and where they need to be going into the Indiana game at MSG. Indiana was downright horrible last year, winning only six games. This year, they're off to a 3-4 start and should be marginally better, but this is still a game Pitt needs to win. Indiana's three wins haven't come against any good teams and their losses include Mississippi, George Mason, Boston, and Maryland. They don't have much of an inside presence and quite simply, this is a game Pitt must have.